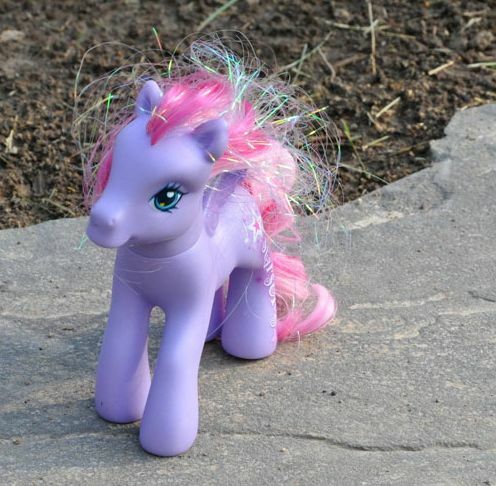 A Mequon couple had their home invaded and infested with “My Little Pony” storybooks, action figures and videos for an entire week – and they just barely survived the experience. The horrid, saccharine creatures relentlessly bombarded the Vandershemps of Thornapple Court with insipid songs, shallow stories and irritating purple-pink imagery. Fortunately, the couple recently freed themselves from the creatures’ clutches, and they are slowly recovering from the assault. “My Little Ponies” gained entry by attaching themselves to the couple’s 4-year-old niece, who was visiting with her mother from Florida. The girl’s mother, who appeared to be in a catatonic state the entire visit, seemed helpless to alleviate the situation. The Vandershemps are safe now, as “My Little Ponies” have departed, attached to their human hosts on their trip back to Florida. Every sign of “My Little Ponies” has been meticulously eliminated from the Vandershemp home, every sugary dessert has been thrown into the garbage, and every item of a pink or purple hue has been thoroughly incinerated.